Senator J. Bennett Johnston. Credit: U.S. Senate Historical Office. The mid 1970s proved to be a pivotal moment in the history of large landscape conservation. The funding boom of the sixties had come to an end, but the political influence of the environmental movement still held sway in many state capitols and in Washington, D.C. The administration of President Gerald Ford sought to cut back on federal investments in conservation, especially in cities, while members of Congress pushed for increases or – at the very least – preservation of the funding status quo. A document from the era, drafted by Charles Little of the Congressional Research Service, captures these tensions and is worth a read. 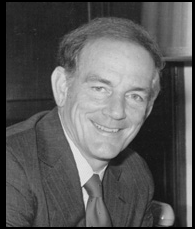 In 1975, Senator J. Bennett Johnston of Louisiana, then chairman of the Subcommittee on Parks and Recreation, requested that the Congressional Research Service complete a report on the growing phenomenon of greenline (or green-line) parks. Authored by Little and entitled “Green-line Parks: An Approach to Preserving Recreational Landscapes in Urban Areas,” the study describes the challenge of protecting large, complex landscapes during a moment of budget austerity. Frustrated that the Ford administration was at once cutting funds for urban parks and ignoring or vetoing proposals for more novel and less expensive models, Johnston turned to the CRS as one way to document the need for and the possibility of less-than-fee approaches to conservation. Access the document here, via Hathi Trust. Emily M. Bateson is the Coordinator for the Network for Landscape Conservation. Before becoming Coordinator, Emily was the Network Co-Chair, and helped move the collaborative from its early formative stages to a more established, funded, and widespread network with active strategies and specific programs to help advance conservation at the landscape scale. LLO: How did you become interested in the field of landscape conservation? Bateson: For me, landscape conservation is much more a matter of logical continuum rather than one recent “ah-ha” moment. 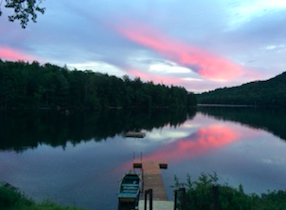 I spent my childhood summers in the Adirondack Mountains of upstate New York, the largest publicly protected area in the contiguous United States. Protected under the New York State Constitution as “Forever Wild,” about half of the land within the six million-acre “Blue Line” is actually private land and populated hamlets, and the objective is management that sustains both natural and human communities. Founded in 1892, the Adirondack Park is one of the earliest examples of landscape conservation and management in the U.S.
My environmental career started at the New England-based Conservation Law Foundation, where we had a long battle in the 1980s, in and out of the courts, to keep offshore oil drilling out of the Georges Bank fishery off the coast of New England and Canada. I worked with diverse experts and stakeholders, including scientists at the Woods Hole Oceanographic Institution, local fishermen’s associations in New Bedford and Gloucester, MA, recreational interests on Cape Cod and the islands, and our Canadian counterparts to stop the drilling from going forward. This trans-border marine ecosystem was highly valuable ecologically, economically, and culturally, and needed to be managed as an integrated system – all the elements of landscape conservation today. That was when I learned to appreciate the critical need to work at the ecosystem scale, connecting sound science and local communities to environmental planning and policy. As I moved on to land-focused New England projects and positions, I cannot think of a single example where working across whole landscapes was not fundamental to long-term success. At CLF, where I was Land Project Director for 16 years, we appealed a 1986 Management Plan for the White Mountain National Forest that looked at biodiversity piecemeal rather than across the whole Forest or across the whole region. Large-scale biodiversity protection was ecologically vital but not common practice at that time (and our appeal was actually before the word “biodiversity” was in use). As a funder at Sweet Water Trust in the 1990s, we worked to help people in New England protect larger and more connected areas based on biodiversity values – key components of landscape conservation and resilience today. I then co-founded and served as the first director of Two Countries, One Forest, an early landscape conservation initiative founded in 2003 to help connect and protect the 80 million-acre Northern Appalachian/Acadian region in the eastern US and Canada – particularly through conservation of nine key habitat connectivity areas (work that continues to this day through its Staying Connected Initiative). That initiative broke a “green ceiling,” since U.S. conservation maps (and associated conservation activity) had previously just shown white space above Maine. But the fundamental difference between political and ecological boundaries, the importance of ecological science to conservation planning, and the difference between top-down and collaborative conservation was already clear to me and to many, many others who had worked in conservation for the past 20 years. LLO: How does landscape conservation differ from other approaches to the protection of places with cultural and ecological significance? Bateson: The U.S. has a remarkable conservation legacy and impressive ongoing programs and progress. However, the loss of our natural and cultural heritage continues to occur at an alarming rate. The fact is that current programs and traditional, piecemeal conservation is simply no match for the ecosystem scale of the challenges confronting us today. 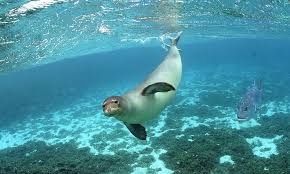 Habitat loss and fragmentation, water scarcity and degradation, climate change impacts, and more threaten the integrated systems upon which human and natural communities depend. We know today that even our largest protected areas are not big enough or connected enough to protect our ecological and cultural heritage. Conservation at the landscape scale is the practice of people working together – horizontally, not top down – across sectors, cultures, and geographies at the necessary ecosystem scale to conserve and connect our natural and cultural landscapes. This highly collaborative conservation approach embraces the complexity of working across these boundaries, from the urban and suburban environs to our wildest places, and across the public-private land continuum. Today, more and more people across the country, continent, and the globe are advancing a landscape approach, working together to conserve their local landscapes for clean water, healthy outdoor recreation, climate resilience, sustainable local economies, connected wildlife habitat, cultural heritage, and local sense of place for the generations that follow. We are erasing the hard lines between protected “versus” populated, and nature “versus” people. The landscape conservation approach recognizes that our natural and cultural landscapes are invaluable, intertwined, irreplaceable, and part of the very fabric of our society. LLO: Could you provide some examples of how landscape conservation works – what do these types of initiatives look like on the ground and how might they differ based on location and community needs? Bateson: Although many of the older landscape conservation efforts are regulatory in origin (such as the Adirondack State Park and the Tahoe Regional Planning Agency) many of the new landscape conservation initiatives are community-grounded, informal efforts. Many of these initiatives are also “nested,” so that an initiative focused on one culturally and geographic appropriate landscape is also part of a larger effort. 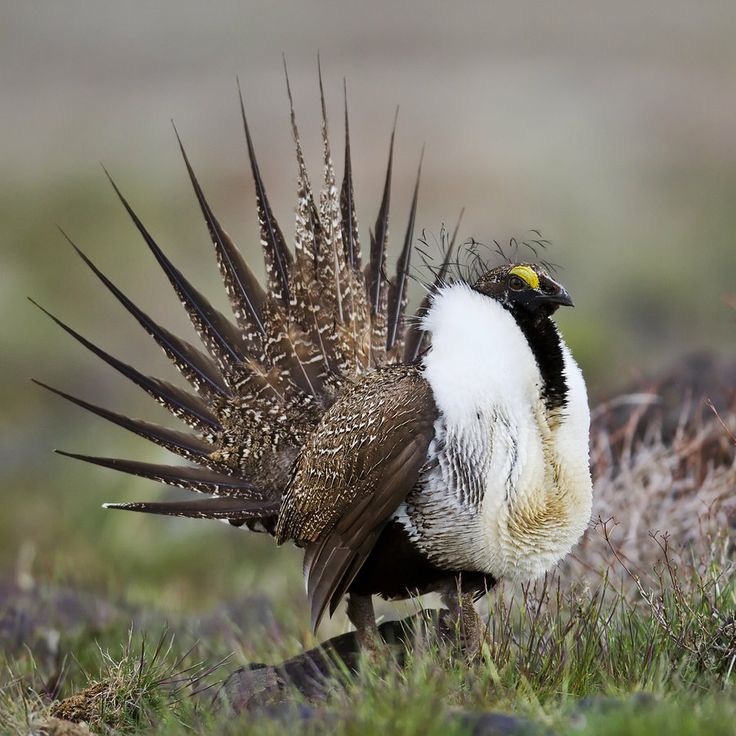 And a good number have support from the growing number of state and federal programs that recognize achieving regulatory mandates must include support of conservation beyond public land boundaries. For example: in central Massachusetts, the 500,000-acre North Quabbin Regional Landscape Partnership, founded in 1997, focuses on conserving “ecologically, historically, and culturally significant lands.” Local municipal leaders, land owners, land trusts, agencies, conservation organizations, and academic partners work together on key activities, including mapping conservation and climate resilience priorities, expanding trail systems, promoting agricultural sustainability, improving conservation zoning, and developing a land acquisition transaction costs regrant program. Together, partners have conserved more than 12,000 acres of high priority lands, attracting far more in federal funding and making a far greater contribution to the future of the region than they ever could have alone. 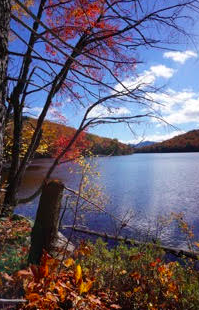 Although this may appear small in scale to some, the North Quabbin Initiative is also the southern anchor of the equally effective two million-acre Quabbin to Cardigan Partnership that stretches up into the White Mountains of NH. And these two efforts are also part of a larger Network of 45 landscape conservation initiatives or “regional conservation partnerships” that together cover more than 70 percent of New England and increasingly learn from each other and work together on shared regional goals. This scale and structure fit the geography and culture of New England. 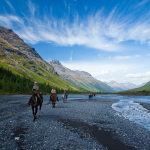 Are there differences across landscape conservation initiatives? Yes, context matters. And despite the similarities between North Quabbin and the Blackfoot Challenge, groups choose different governance structures, conservation priorities, and approaches. For example, The Intertwine Alliance, more than 150 public, private and nonprofit organizations working to integrate nature more deeply into the Portland-Vancouver metropolitan region, is wrestling with higher density populations, local urban-specific priorities, and smaller scales than the Blackfoot Challenge. Their strategies and solutions may not look identical. But I would suggest that there are more similarities than differences. Landscape conservation initiatives are working to achieve conservation that is both locally grounded and regionally significant. They are working, by and large, to look at conservation more expansively to include culture, community, traditional local economics, health, recreation, and local sense of place, while never losing sight of the long-term importance of healthy, connected natural systems for the future of their own landscapes and the world overall. Landscape conservation helps put the future back into the hands of informed and committed people living and working on the landscapes they love. LLO: What are the biggest challenges as well as opportunities right now in the field of landscape conservation and how might the roles of public vs. non-governmental entities be changing in the coming years? Bateson: Regardless of geography and scale, initiatives often share similar challenges regarding 1) meaningful collaboration and effective governance; 2) conservation science and planning at the local-to-landscape scales; and 3) funding for and commitment to long-term collaboration and conservation implementation. One major challenge has been that there was no central place for sharing information, identifying best practices, tackling common challenges, and developing cutting edge research and analysis in this new field. That of course is what we are trying to change through the Network for Landscape Conservation. Although I hope I am wrong, I think the current federal administration may be a challenge, which is too bad as conservation has been a robust bipartisan issue for many years. And recent Republican and Democratic administrations have made so much progress on moving toward a landscape conservation approach at the federal agency level, from the National Park Service Scaling Up program to the Landscape Conservation Collaborative Network and much, much more. Despite the challenges, there are boundless opportunities in this rapidly growing field. We have enormous forward momentum in specific landscapes, and an increasing number of examples of effective initiatives and enduring success. Conservation at the landscape scale is increasingly embraced in local and regional landscapes across the country, continent, and beyond. It is the groundswell of local understanding and support that will carry this imperative conservation approach inexorably forward. LLO: Your organization recently changed its name from the Practitioners’ Network for Large Landscape Conservation to the Network for Landscape Conservation. Does this reflect a shift in its mission or area of emphasis? Bateson: The Network has only shortened its name, and not changed its mission. We decided it was evident we are a network for “practitioners,” and we dropped the “large” because many people thought it suggested only large, wild landscapes and not the equally valuable efforts in urban or other smaller-scale settings. Founded in 2011, the goal of the Network continues to be building a “big tent” network and a robust community of practice to support and advance the rapidly growing landscape conservation movement. Before the Network, there was no central forum for landscape conservation practitioners to connect – there was too much reinventing of the proverbial wheel and opportunities for progress and innovation were being lost. Our Network of professionals in the private, public, non-profit, academic, and philanthropic sectors has already grown to almost 100 organizational partners and 2,000 individual practitioners. We work with partners to build a valued nexus for connecting with peers, accessing information and resources, building skills, leveraging individual efforts, improving on-the-ground performance, and innovating new landscape conservation. One of our highest priorities continues to be connecting practitioners to each other and showcasing their work for the broader community. We are all figuring out this pivotal, new landscape conservation approach together. I hope individuals and organizations will continue to join the Network for Landscape Conservation to help build the conversation and the community of practice, shaping the future of the local and global landscapes that will sustain our grandchildren and the many generations to follow. Private land conservation has been used as a land protection tool for centuries. Working within local and national political and legal frameworks, private and civic organizations have been protecting and stewarding private forestland, farmland, natural habitats, and historic/cultural sites around the world. Less well known than public protected areas, such as national parks and preserves, privately protected areas are gaining attention and momentum as a critical tool for modern day conservation. In the last several years, conservationists in the US and around the world have started to quantify and assess international private land conservation efforts. Publications by the Lincoln Institute of Land Policy, the International Union for the Conservation of Nature (IUCN), and the European Commission highlight the broad scope of this movement, as well as opportunities to strengthen efforts through collaboration, legal reform, and capacity building. The IUCN report goes as far as to say that “privately protected areas deserve far greater recognition and support” than they have previously received, and that such recognition and support “will help bring the private conservation movement fully into the mainstream of global conservation practice.” It is also becoming increasingly clear that if nations are to meet international biodiversity, conservation, and preservation goals, privately protected land will have to be part of the equation. The need and the recognition of a growing movement inspired the founding of the International Land Conservation Network (ILCN), which is working to connect organizations and people across a broad spectrum of action relating to private and civic land conservation. The ILCN envisions a world in which the public, private, civic (NGO), and academic sectors, together with indigenous communities around the globe, work collaboratively to protect and steward land that is essential for wildlife habitat, clean and abundant water, treasured human historical and cultural amenities, and sustainable food, fiber, and energy production. The ILCN formally launched at its First Congress in Berlin, Germany in October 2015. Attended by 90 participants from 27 counties, the Congress catalyzed and reinvigorated national efforts and international exchanges around the world. Attendees from such disparate locations as Canada, South Africa, New Zealand, Chile and Myanmar have continued to build relationships and learn from one another since the Congress. Overwhelmingly, participants called for a forum through which to share best practices, model documents, technology, case studies, and professional development/career training opportunities across the globe to address shared challenges and empower organizations. The ILCN is working to implement these suggestions, beginning with an e-newsletter and a census of organizations working on private land conservation around the world. This is the first comprehensive effort to determine a baseline of organizations, and, already, over 1,600 organizations in more than 100 countries have been identified. As interest in, and support for, this movement grows, there is an unparalleled opportunity to strengthen this global community of practice and accelerate efforts worldwide. If you are affiliated with an organization that engages in private land conservation or stewardship, we invite you to please take our brief survey: https://LILP.formstack.com/forms/ilcn_2016_census_survey. We look forward to learning about your important work. Long Landscapes: How Big is Big Enough? This is not a completely new idea. The organization Nature Needs Half is committed to protecting and connecting half of the earth’s land and water based on the best science and commonsense, and is a vision for a new relationship between people and nature. One of the featured large landscapes on the Nature Needs Half’s web site is the Yellowstone to Yukon or as it sometimes known Y to Y. 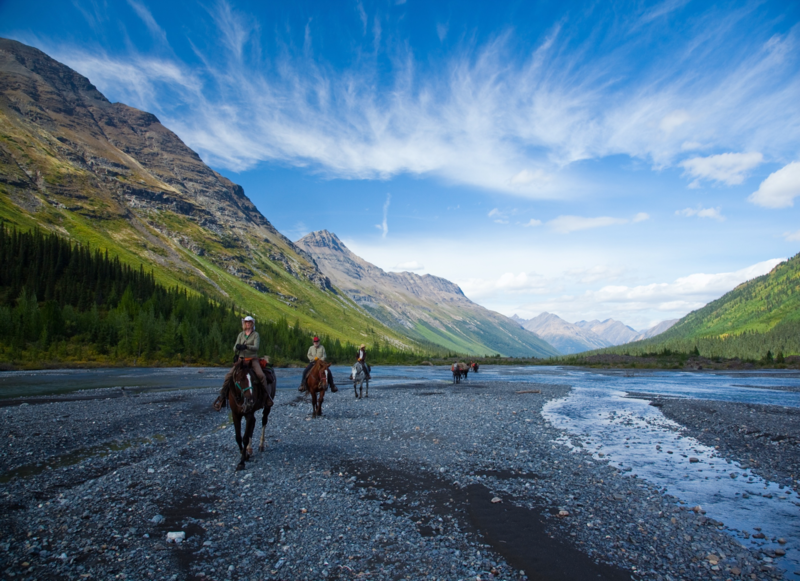 Marking its twentieth anniversary this year, the Y to Y initiative envisions an interconnected system of wild lands and waters stretching from Yellowstone to Yukon, harmonizing the needs of people with those of nature. 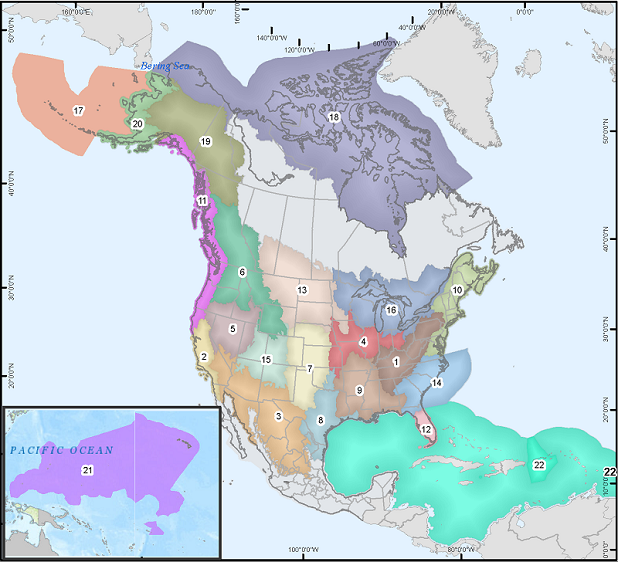 The Y2Y region traverses two countries, five American states, two Canadian provinces, two Canadian territories, the reservation or traditional lands of over 30 Native governments, and a number of government land agencies. To carryout its work the Y to Y works with five sub regional landscape collaborative including the Crown of the Continent. Tony Hiss describes his vision of what is big enough in to conserve natural resources in North America. Bigger than the Y to Y corridor, but scaled down from half the earth. 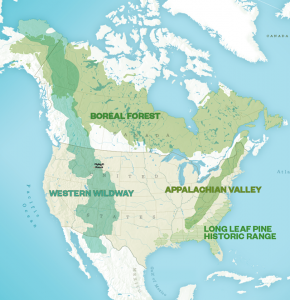 He calls these places long landscapes, a permanent network of protected and interconnected wild landscapes that would offer resiliency in the face of changing climates. For example, such huge corridors would allow southern species to move north in the face of global warming and western species to move east to escape drought conditions. So how do we make this happen? As the work on the Y to Y corridor and its five sub regional landscapes show us, many of the pieces of the puzzle are out there just waiting to be assembled. A good place to start is with the many organizations and agencies that are already working hard to conserve their little piece of the continent. The upcoming National Workshop on Large Landscape Conservation in Washington D.C. is a great opportunity to inspire these practioners to work local and think global (or at least think about 50% of the globe). 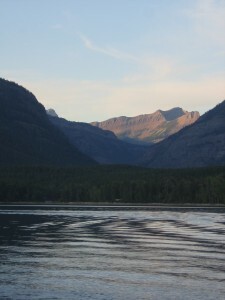 Scene from Glacier National Park, part of the larger Crown of the Continent landscape. Large landscapes. Living Landscapes. Cultural Landscapes – what a difference a few words can make! Earlier this month, a pair of well-received sessions at the National Trust for Historic Preservation Annual Meeting in Spokane, Washington highlighted the challenges associated with defining these terms. The two back-to-back panels, which both tackled landscape scale issues, drew very different responses from the audience – a testament to how exciting, yet also contested, these ideas remain. The first session Indigenous Cultural Landscapes: New Ideas on Place presented work underway in the Chesapeake Bay Watershed that has redefined landscapes from the perspectives and lifestyles of pre-contact Native peoples. The goal of this expanded definition is to better interpret the place of American Indians on the land. It also draws on Indigenous knowledge systems to strengthen conservation practice by adding a cultural perspective to areas already significant for their ecological resources and water protecting capacity. Deanna Beacham, an American Indian Program Manager with the National Park Service, started the panel’s conversation on how the concept of the Indigenous Cultural Landscape has been used to enrich the Chesapeake Bay region’s understanding of place. Lisa Hayes from Accokeek Foundation followed next, illustrating how the concept is being applied to better understand the homeland of the Piscataway in Maryland. Stephanie Toothman, Associate Director with the National Park Service, discussed the need to examine how the NPS uses the idea of cultural landscapes, especially in contexts where knowledge systems and values may or may not overlap. The afternoon session on Conservation on a Grand Scale: The Large Landscape Approach had a very different dynamic – maybe it was the after lunch time slot or the room which was a bit cavernous. The second panel featured Mark Preiss, the manager of Eby’s Landing National Preserve, and Shawn Johnson, who coordinates the work of the Crown of the Continent Roundtable. 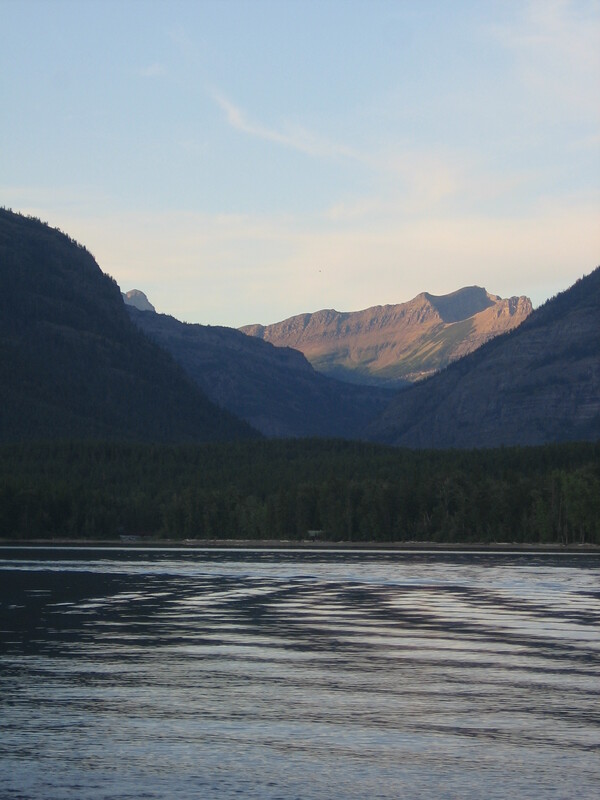 They presented complex work that crosses jurisdictional boundaries and integrates private and public lands to achieve a partnerships approach to land and water conservation and natural resource management. Both panelists talked from a large landscape perspective and emphasized the importance of integrating culture and nature values. However, despite the scale of these large landscape efforts and the inclusion of cultural resources as key components, no challenging questions were raised about how these resources were identified or defined. The largely positive post session reviews expressed no uncertainty about how it would impact the field of historic preservation. What if the session was titled Cultural Landscape Conservation on a Grand Scale? Would the conversation have taken a different turn? Perhaps the emphasis on an ecosystem approach, stretching across multiple states, proved a bit unfamiliar to National Trust conference attendees, whose work tends to focus on smaller areas or sites. Perhaps not, but whatever the reason, the two sessions produced markedly different responses among participants. In Part I of this series, Amy Rosenthal described the current challenges for environmental and human health in the southwest Amazon. In Part II, she addresses some of the most promising solutions. First, we need to admit that we don’t know the single right answer – the silver bullet that will shift the balance between development and environment from discord to harmony. Challenges continue to confront the region, and solutions elude us. But, we can point to some early successes at the landscape scale that can be sustained and replicated. The Amazon Conservation Association (ACA), a consortium of Peruvian, Bolivian, and U.S. conservation organizations with a joint mission, is at the forefront of this work. In 2008, ACA pioneered an innovative strategy to address the changes on the landscape and the threats to the Amazon forest and human welfare. Bringing together a range of stakeholders from civil society, government and private industry, the team laid out a plan to avoid or minimize each threat at a scale that could preserve the benefits from nature that people and animals depend on: pure drinking water, clean air, plentiful and healthy fish, access to forest products like Brazil nuts, stable water supply, forest landscapes that protect from flooding and erosion, and natural beauty that gives us peace of mind, opportunities for recreation, and potential income from tourism. directly protecting critical resources through conservation and improved land management. What does the MAP plan look like? To communities, it looks like a new community-managed forestry and agro-forestry systems – including 185,000 trees planted by ACA staff and communities in the Andean highlands and, in the Amazonian lowlands, 38,000 new trees and 80 families trained to care for them and earn revenue from native fruits and fibers. To the local government, it looks like workshops to train representatives on the newest techniques and international policies they can now take advantage of and technical support developing maps for new regional parks – of which there are now more than 15 created or proposed. To sustainable industry, it looks like improved management and quality control for supply that can now be sold for better prices locally and overseas – including dryers and processing plants for several associations of Brazil nut harvesters that serve 509 Brazil nut concessions on 600,000 hectares of forest, managed by 420 families. To indigenous groups, it looks like more sovereignty over their traditional lands and more protection for their resources from invaders – including 2 new indigenous areas for the Wachiperi and Q’eros groups, and several more that are proposed. To tourists, it looks like natural bounty never before seen: Forests full of exotic, rare birds – over 1000 species. Meadows of brightly colored butterflies and frogs. Hundreds of fresh, juicy tropical fruits. Waterfalls, cliffs, and blankets of forests. And, Indigenous-led tourism that showcases their rich cultural traditions. This includes more than 5 new tourism sites, focused on cultural tourism, science tourism, and ecotourism. To those of us in environmental conservation, it looks like a new model – one that creates a holistic program that is greater than the sum of its parts. A model that creates allies from business, government, and communities, rather than enemies. One that has to potential to be built – albeit through great labor and skill – brick by brick into a new system for the southwest Amazon. ACA calls it a mosaic-based conservation corridor initiative. On a map, like the one below, it looks like a patchwork of areas that radiate from a core – a trifecta of some of Peru’s most treasured protected areas: Manu National Park, Alto Purús National Park, and a National Reserve for uncontacted indigenous peoples. These corridors connect ecosystems that create spillover benefits for people – the clean air and water, the natural beauty and forest products mentioned above, as well as desperately needed stores of carbon to reduce greenhouse gas emissions and slow climate change – which also provide critical habitat for many species, including the jaguars, arapaima, Shihuahuaco trees and harpy eagles, and peccaries that have been under threat. The three corridors are made of conservation areas – managed by government, communities, or civil society – and zones dedicated to sustainable uses, like agroforestry, Brazil nut harvest, fish farming, community forestry, and ecotourism. And each corridor is designed to confront a different set of threats and opportunities. The Manu–Tambopata Corridor limits the negative social and environmental impacts of the new Interoceanic Highway and destructive mining. The Castaña Corridor secures habitat for jaguars and traditional livelihoods for Brazil nut harvesting communities under threat from rapid in-migration, logging, and ranching interests. And the Andean Cloud Forest Corridor runs an elevational gradient from the lowlands to the tips of the glaciers to give people, plants, and animals refugia under the hard-to-predict changes of global warming (or, as I’ve heard it referred to, “global weirding”). Although I’m really excited about these efforts, I can’t claim that the problem has been solved. We still face bureaucratic hurdles to managing corridors since they have no legal status in Peru and Bolivia. The forces that are degrading environmental and human health continue to multiply, and the partners that make the MAP plan a reality are comparatively resource-poor and politically weak. And, in some cases, there remain tradeoffs that can’t be harmonized among the immediate needs of people and the environment. If we want final solutions, we need to figure out ways to change the systems in which these activities are embedded. And, we’ll need to band together to push for the institutional building blocks that can make efforts like these accessible and sustainable over the long-term. For more about these initiatives, check out Amazon Conservation Association or an upcoming article in the journal Ecological Restoration. [i] Madre de Dios, Peru; Acre, Brazil; Pando, Bolivia. This is the southwest Amazon region, which faces similar threats and communities, outlined in Part I of this post. ACA’s MAP plan also includes critical initiatives in Cusco, Peru.